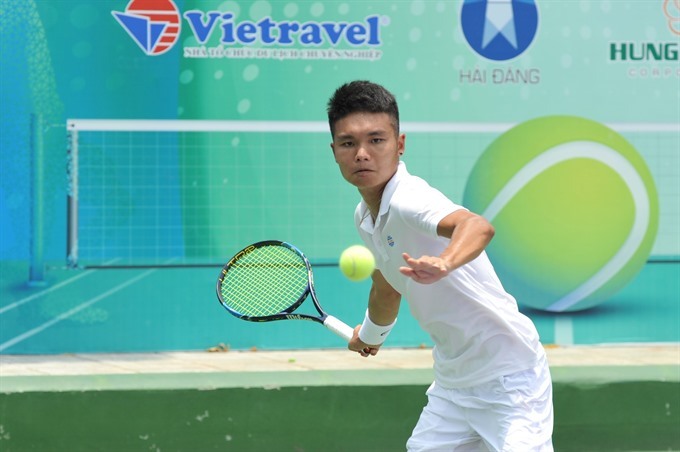 HÀ NỘI — The Việt Nam F4 Futures tennis tournament – Hải Đăng Cup 2018 is scheduled to take place in the southern province of Tây Ninh from October 20-28, and players will competing for a record US$25,000 in prize money. The tournament’s No 1 seed is Roman Safiullin who is currently ranked 301st in the world and won titles at the Russia F3 and Egypt F10 tournaments. Top Vietnamese player Lý Hoàng Nam will also return home from Spain to compete in the tournament. He is world No 503 and No 5 seed for the event. Other Vietnamese players Trịnh Linh Giang, Hoàng Thành Trung, Timothy Toàn Phụng, Bùi Trí Nguyên, Lê Quốc Khánh and Vũ Hà Minh Đức will also compete at the tournament. The winner of the event will receive US$3,600 and get 27 points on the ATP rankings.